"This is a case about bribery and corruption, not about gifts and friendship," a prosecutor told jurors. Edward Mangano's defense attorney says the government's key witness has a "corrupt, dark soul." This story was reported by Nicole Fuller, Robert E. Kessler, Bridget Murphy and Andrew Smith. It was written by Fuller. 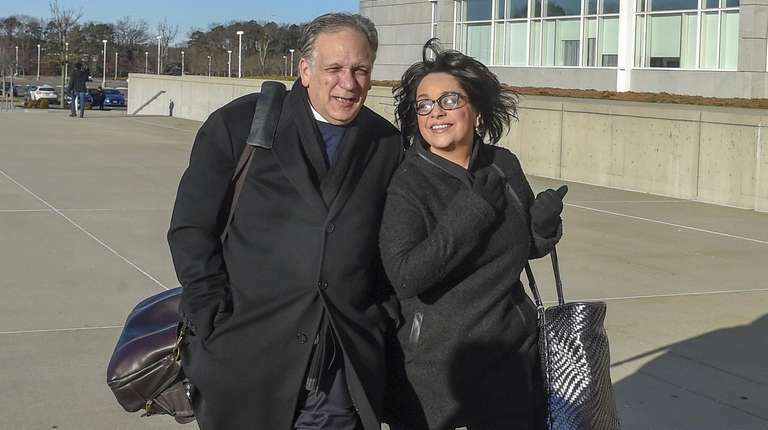 Attorneys gave dueling narratives Tuesday while presenting opening statements in the corruption retrial of former Nassau County Executive Edward Mangano and his wife, Linda. A federal prosecutor said the former county executive used his friendship with restaurateur Harendra Singh to enrich himself at taxpayers' expense. But a defense attorney labeled Singh, the prosecution's star witness, as a liar desperate for leniency for his own crimes. Edward Mangano's defense attorney, Kevin Keating, told the jury that they would hear Singh's voice on government wiretaps telling an Oyster Bay Town official that he "got nothing" from Mangano and had actually "lost money" in his effort to lavish the top politician with gifts and vacations. “In the words of Harendra Singh, he [Edward Mangano] cost me money,” Keating said. Edward and Linda Mangano are accused of partaking in a scheme involving Singh, who has pleaded guilty to providing them with perks ranging from a $450,000 no-show job for Linda Mangano to office and massage chairs for Edward Mangano in exchange for county contracts and $20 million in Oyster Bay Town-linked loans boosting his restaurant empire. Linda Mangano is accused of lying to the FBI when questioned about the alleged corruption. Edward Mangano, 56, is charged with seven felony counts, including federal program bribery, honest-services wire fraud, extortion and conspiracy to obstruct justice. Linda Mangano, 55, is charged with five felony counts, including conspiracy to obstruct justice, obstruction of justice and making false statements to the FBI. The Manganos have pleaded not guilty to the charges. 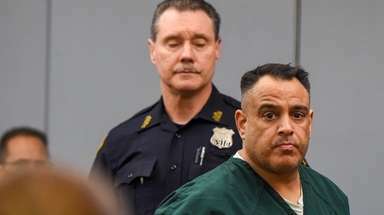 Treinis Gatz, in a 34-minute opening, urged jurors to focus on the dates prosecutors say Singh began plying the Manganos with expensive gifts and the job for Linda Mangano — and the timing of those gifts compared to when Singh benefited from official action by the then-county executive in the form of lucrative county contracts. This trial is expected to be a slimmed down version of the first. In Singh's more than 20 years of friendship with Mangano before he became county executive, there were no lavish gifts, free vacations and lucrative job, the prosecutor said. But as soon as Mangano began running for office, the presents began flowing. “This is a case about bribery and corruption, not about gifts and friendship,” she said. 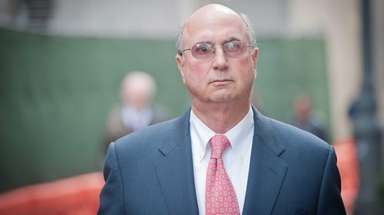 Keating, who acknowledged his client's close relationship with Singh, portrayed the restaurant mogul as having a "corrupt, dark soul" — even stealing from his own father — and purposely befriending public officials while committing a slew of financial crimes. In an attempt to spare himself decades in prison, Singh lied repeatedly about the Manganos to prosecutors, according to the defense. Singh “miscalculated badly” when he gave gifts to the Manganos to try to get county business after Mangano’s election as county executive in 2009, Keating said. Edward Mangano never took any official action as county executive — the legal standard for a conviction — in return for Singh’s gifts, he said. In six years, Singh only got one Nassau County contract: an emergency contract to provide food to government workers after superstorm Sandy, Keating said. Singh told the government he hired Linda Mangano to land a contract with the county in April 2010 — but he never got it, Keating said. He added that Singh also didn't get any personal services contracts, which are less than $25,000 and could have been given to him easily because at the time they didn't require legislative approval. Keating also characterized as "desperate" the government’s effort to link Edward Mangano with town-backed loan guarantees for Singh, a concessionaire at Oyster Bay Town-owned beaches and a golf course. He said Mangano had only been in office a few months and didn't have the clout to influence a longtime town supervisor. Prosecutors have contended that in his position as county executive, Edward Mangano exerted influence over town supervisors, influence that rose to the standard of being official action and was part of an overall criminal conspiracy. Tuesday, Treinis Gatz said the corrupt relationship started in July 2009, when Mangano began running for county executive and persuaded Singh to rent him space for his campaign headquarters and to feed his staff. When the campaign ended and Singh presented a food bill of almost $57,000, she said, Mangano paid only $15,000 of it. Edward Mangano took a pay cut of more than $100,000 when he left his job as an attorney with the Uniondale-based firm of Rivkin Radler. “He sold himself and his office so that he and his wife could maintain the lifestyle to which they had become accustomed,” Treinis Gatz said. Singh was also strapped for cash, she said, which was the motivation for his plan to get Oyster Bay Town to back loans for businesses he operated on town property. Singh asked Mangano to intercede with the town and Mangano agreed, she said. 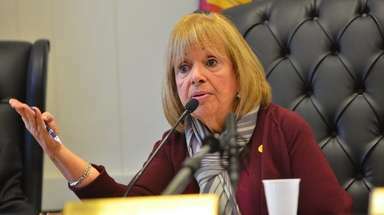 Around that time, Singh hired Linda Mangano for “a job at which she was expected to do nothing, and she did not disappoint,” Treinis Gatz said. 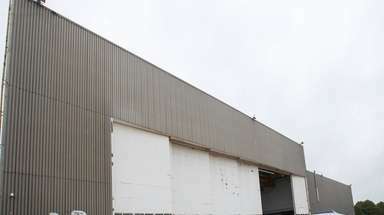 The town ultimately backed the loans, Treinis Gatz said, and “everybody made out like bandits — except the taxpayers." In addition to Linda's no-show job, according to Treinis Gatz, the Manganos also got a slew of gifts from Singh: five vacations to destinations in upstate New York, Florida and Turks and Caicos; a fancy office chair and a massage chair for his home; hardwood floors for the Manganos' Bethpage bedroom; and a $7,300 watch for one of the Manganos' son's 21st birthday. In return, Singh also got two different contracts, she said. The first was in May 2012, when Mangano steered a contract from a low bidder to Singh to provide bread and rolls to county jail inmates, Treinis Gatz said. 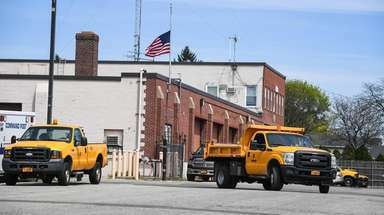 That October, after superstorm Sandy, Mangano engineered the awarding of an emergency contract to Singh to provide food for the county Office of Emergency Management, even though a county-approved caterer was ready to do the job, she said. Mangano saw it as an opportunity to provide something for Singh and get something in return — that was the week Singh bought Mangano’s son the watch, Treinis Gatz said. “Wow, was November 2012 a good month for the Manganos,” she said. They got the watch, Ed Mangano got “free surf and turf” at work and the couple got Linda Mangano’s paychecks “to do what — lay on the couch?” Treinis Gatz said. Linda Mangano's attorney, John Carman, sought to distance his client from her husband. Carman emphasized to jurors that Linda Mangano is not charged with accepting bribes or extortion, like her husband. 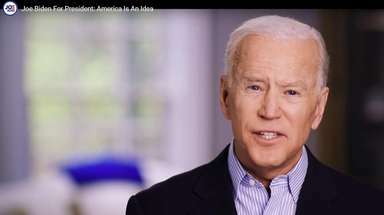 And having a no-show job is not illegal, he said. “She is here because the government claims that when they interviewed her, she said she did more work than she did,” Carman said. It’s not a crime to do a small amount of work, he said. “And a good thing, too, because otherwise there would be a lot of people in jail," Carman quipped. Carman showed jurors the list of 11 false statements the prosecution says Linda Mangano told them and mocked the idea that the case against his client rested on what he called FBI Special Agent Laura Spence's "scribbled notes." He portrayed his client as an unsophisticated, well-meaning spouse to the county executive, someone focused on her volunteer work and running her “teeny-weeny newspaper in Bethpage” instead of taking part in a criminal conspiracy to obstruct justice. Carman criticized the government for not video- or audio-recording Linda Mangano’s actual words at three meetings with federal authorities in January and May of 2015. The FBI does not typically record interviews. He said prosecutors could have made it easy for jurors to understand not only what Linda Mangano said, but how she said it. “It was all about setting a trap" for her, Carman said. After openings, jurors heard the testimony of five witnesses, a variety of vendors who testified about gifts Singh purchased for the Manganos — a different tactic from last year's trial, when Singh was the first to testify. In interviews after the first trial, some jurors questioned Singh's credibility. The Manganos' first trial lasted 12 weeks and resulted in a mistrial. Then co-defendant, former Town of Oyster Bay Supervisor John Venditto, who was accused of helping Singh access the town-backed loans in exchange for limo rides and free meals at Singh's restaurants, was acquitted of all charges.